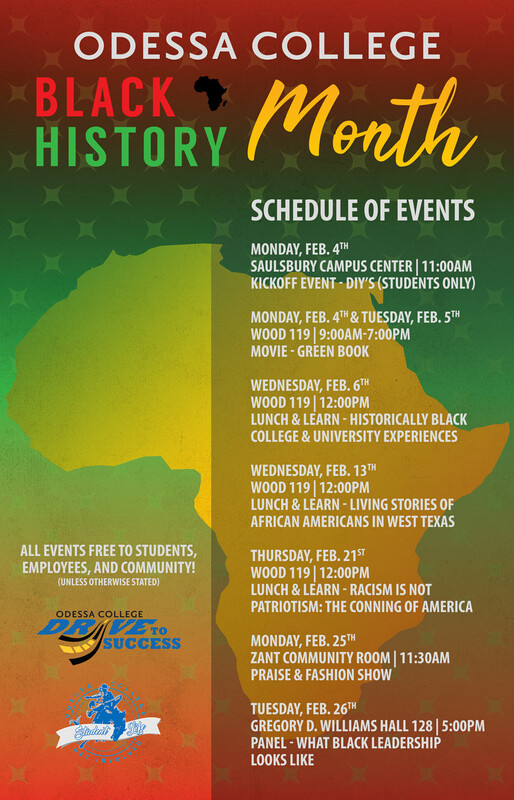 Join us throughout the month of February as Odessa College proudly celebrates Black History Month. We have a variety of fun and informative events planned. See full schedule below!